Wilmar W286 - 6-Inch Quick Release C-Clamp features a quick-release button to save time and twisting. Chrome plated screw threads. Precision crafted for smooth operation. Has malleable iron construction with a tough enamel finish. The GreatNeck 6" Quick release C-Clamp features a push button for Quick release and adjustment. A steel swivel and screw provide a secure grip on a wide range of surfaces. 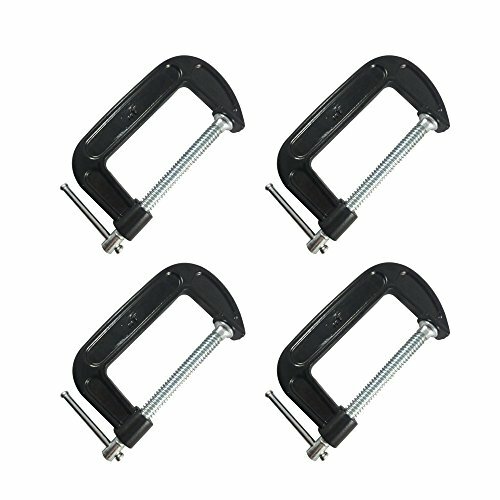 The C-Clamp has an unbreakable cast iron frame for strength and durability with nickel plated threads that are rust resistant for smooth operation. The GreatNeck 4" Quick release C-Clamp features a push button for Quick release and adjustment. A steel swivel and screw provide a secure grip on a wide range of surfaces. 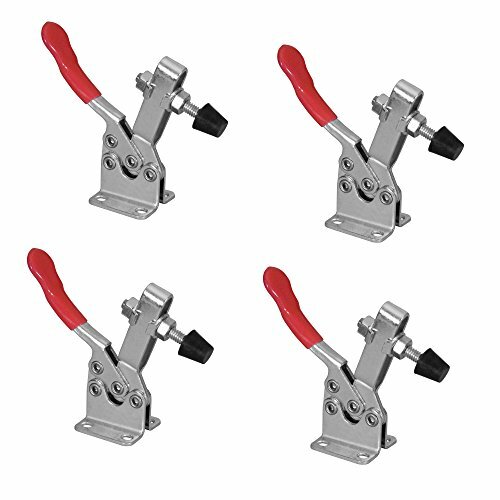 The C-Clamp has an unbreakable cast iron frame for strength and durability with nickel plated threads that are rust resistant for smooth operation. 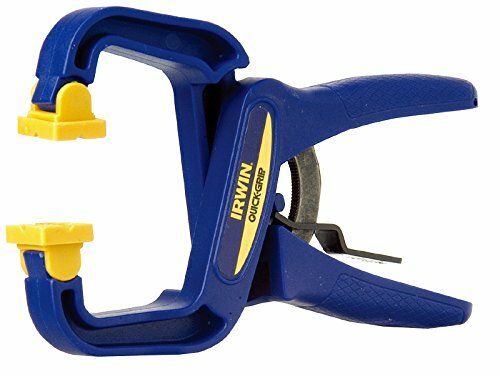 The IRWIN QUICK-GRIP Handi-Clamp features a QUICK-RELEASE trigger that makes positioning easier while allowing the clamp to release faster. 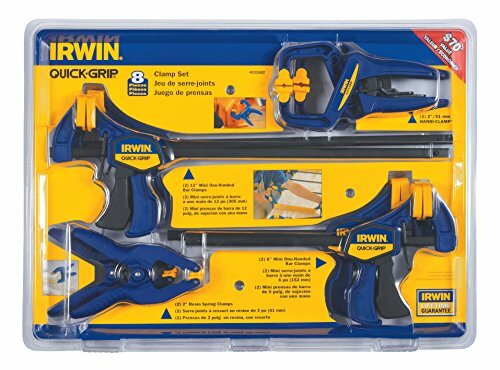 This clamp is designed to be more comfortable to use with a ratcheting mechanism that requires significantly reduced hand pressure and makes the clamp easier to adjust. Constructed of high-tech resin, the clam has specially designed jaws to hold odd-shaped workpieces. The OEMTOOLS 6 Inch Quick Release C-Clamp is ideal for when you are in need of a firm hold on your projects. 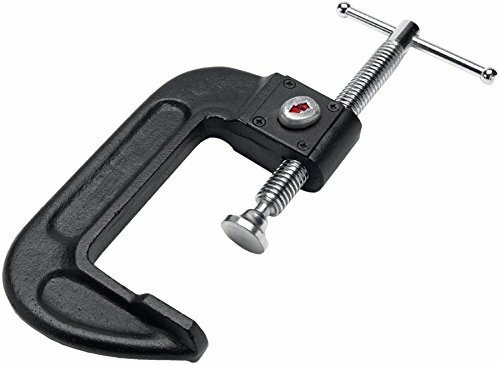 This C-Clamp is constructed from cast iron, and is ideal for any home or professional job! 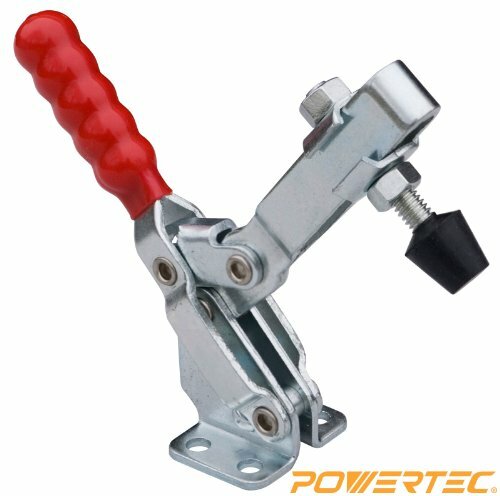 The POWERTEC Horizontal Quick-Release Toggle Clamp, is a must-have addition to your jig assembly. With its sturdy construction and efficient design, this essential tool ensures that you achieve a rock-solid grip on your work piece, thus providing a hold that won’t slip. Features a low height design and mechanism to allow for maximum clearance. Vinyl colored grip for easy identification and comfort. Zinc-plated coating for corrosion resistance. Retracted clamp will allow for vertical removal of clamped item. This versatile and handy clamp makes woodworking perfection a breeze. 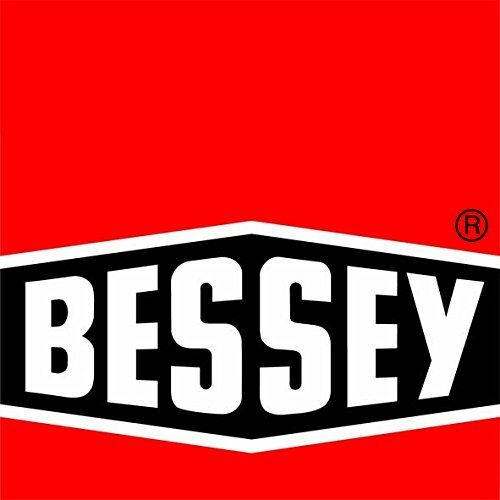 Small tool, big help! Clamp base: 1-7/16” x 1-5/16”. Mounting slots: 1/4” x 3/16” spaced 1” x 7/8” apart. Clamp reach range, from front of clamp base: 5/8” - 2-1/8”. Bolt length, including rubber foot: 1-7/8”. 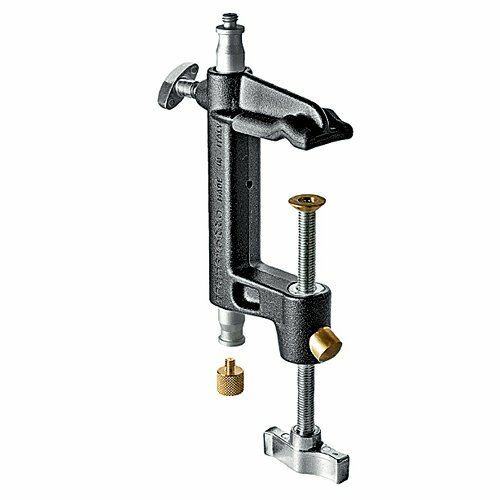 Clamp foot adjustable range from bottom of clamp arm: 7/8” - 1-1/8”. Clamp height when clamped: 1-1/2”. Total length, including handle, when clamped: 5-7/8”.WARNING! This product can expose you to chemicals including DEHP and DINP, which are known to the State of California to cause cancer and birth defects or other reproductive harm. For more information go to www.P65Warnings.ca.gov. For woodworking, metalworking or welding, this quick release bar clamp holds your work pieces tightly while making more permanent attachments or repairs. With a 2-1/2" throat depth, this bar clamp holds pieces too wide for c-clamps. 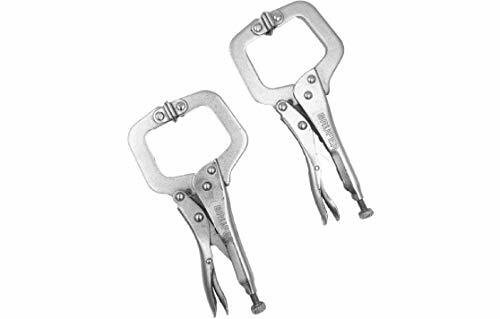 Features include a durable carbon steel bar, malleable steel jaws and a comfort grip handle for easy operation. 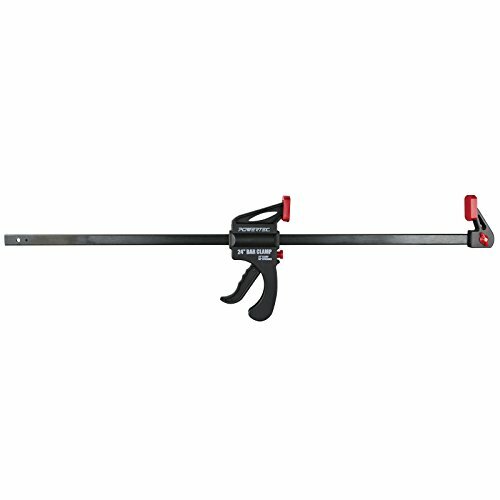 POWERTEC 71090 Quick Release Bar Clamp 24" x 2-1/2" and 30" Spreader, 24"
The POWERTEC 71090 24” x 2-1/2” quick-release bar clamp and 30” Spreader is your essential clamping solution when gluing or assembling your smaller scale woodworking and crafting projects, as well as in a vast array of other applications. Easily grip your stock via the handy ratcheting trigger to obtain a Quick, secure and accurate grip. Just stop squeezing the trigger when You've found your ideal setting to achieve a firmly locked hold. The clamp’s ratchet/bar mechanism evenly distributes the pressure on your work piece, thus delivering a consistent hold that won’t warp or misalign your work pieces. A useful quick-release button allows for one-handed adjustment. Pliable Nylon clamping pads protect your project surfaces. Additionally, this clamp converts into a 30” Spreader, ideal for when you need to uniformly separate your work stock or Press stock against an outside surface. These versatile clamps come in handy every time. 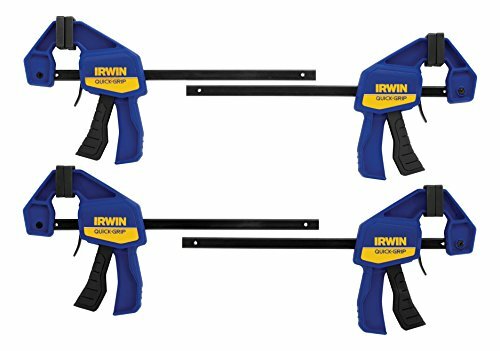 The IRWINQUICK-GRIPOne-Handed Bar Clamp, Medium-Duty, provides up to 300 lbs. of sustained clamping force evenly distributed across removable swivel jaws. 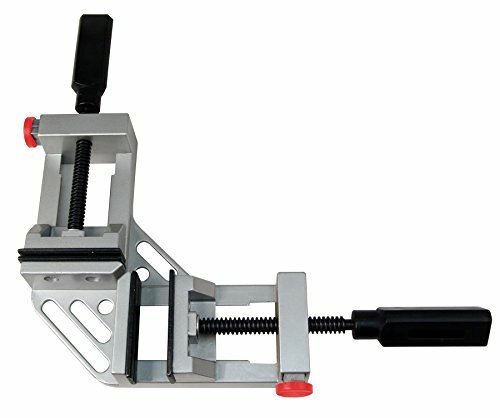 It is constructed with an I-beam bar to reduce flexing and bowing, non-marring pads that protect workpieces and can be removed quickly, and a unique pistol grip design with a Quick-Release() trigger for one-handed operation. 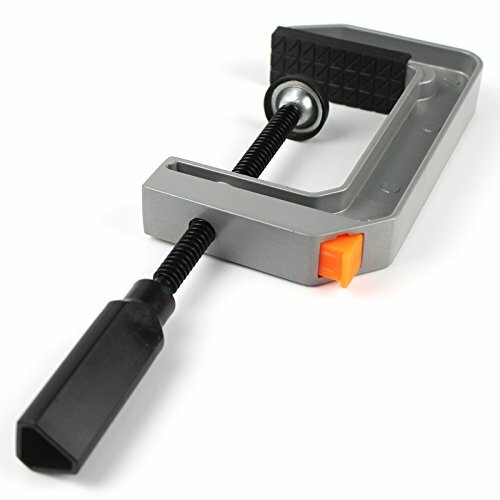 This clamp easily converts to a spreader with a few simple turns of the quick-change button. 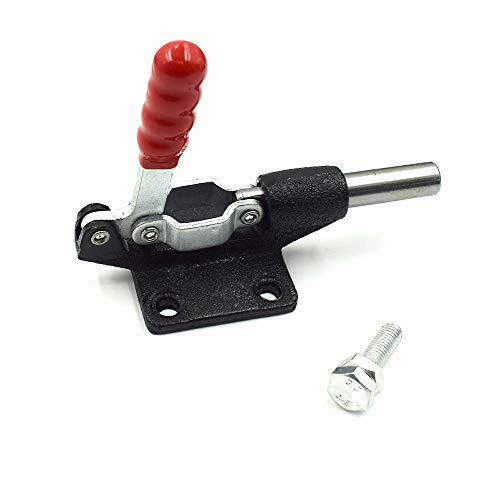 Polyurethane Coated, Iron C-Clamp C-Clamps are great for securely holding anything in place including; wood crafts, metal fabrications, and bench top tools! 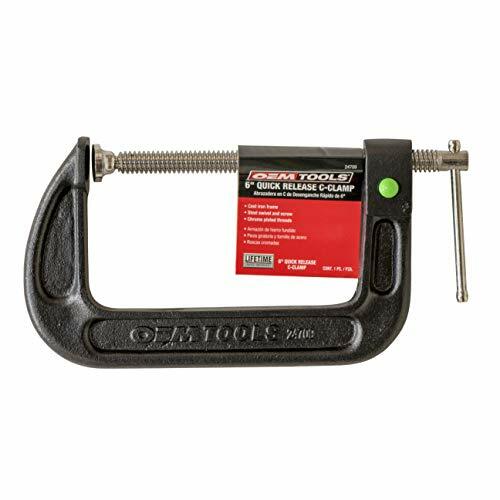 POWERTEC Vertical Quick-Release Toggle Clamp is a must-have addition to your jig assembly. With its sturdy construction and efficient design, this essential tool ensures that you achieve a rock-solid grip on your work piece; providing a hold that won't slip. 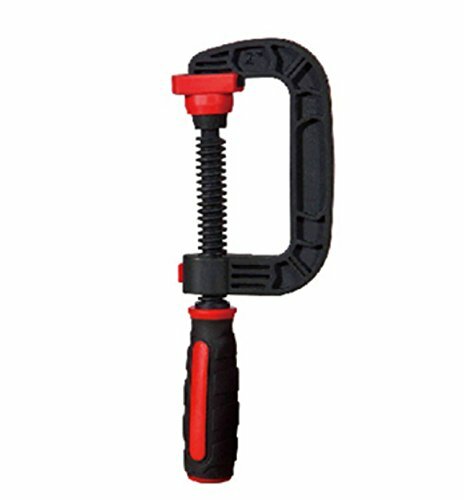 The grip with a minimum 90-degree angle for easy loading and unloading. Vinyl colored grips for easy identification and comfort. Zinc-plated coating for corrosion resistance. This versatile and handy clamp makes woodworking perfection a breeze. Clamp base: 1-3/8” x 1-7/8”. Mounting holes: 1/4” spaced 1-1/4” x 1- 5/16” apart. Clamp reach range from front of clamp base: 1/2” - 2-1/2”. Bolt length, including rubber foot: 2-1/2”. Clamp foot adjustable range from bottom of clamp arm: 1” - 1-1/2”. Clamp height, including handle, when clamped: 5-9/16”. Total length when clamped: 4-1/2”. 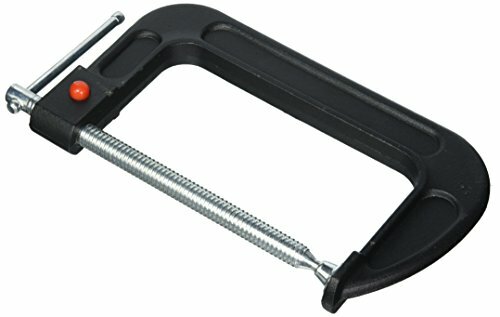 This Manfrotto Quick-Release C-Clamp is different from the other versions that are used mainly on round pipes, this version will also work on square and rectangular tubes. Extremely light, with a good -Inchcoupling range-Inch, this version also offers an incredible number of attachment sizes. Ideal for photographic applications and dedicated accessories. Pipe size 5-80mm. Attachment (bottom): 16mm; clamp range - max. (round tube): 3.15 in. ; clamp range - min (round tube): 0.20 in. ; color: black; load capacity: 15.43 lbs. ; material: aluminum; weight: 1.26 lbs.